Here are some timely insights shared to us by three social entrepreneurs. As we get into the golden age of social entrepreneurship, it would be interesting to know how some social entrepreneurs from Southeast Asia and the US set up viable and sustainable enterprises to address some key challenges that are being dealt with by many societies. Here are some timely insights shared to us by three of them. Spot the opportunity in every situation. Anna Stork, an architecture graduate student and co-founder of LuminAID Lab in the US reveals that she and LuminAID co-founder Andrea Sreshta were tasked a few years ago to design a product to assist relief efforts in Haiti, which was reeling from the effects of a strong earthquake. They identified light as a critical need in the area, as it had the potential to provide comfort and safety to calamity survivors. It paved the way for the creation of the social enterprise that mainly produces solar lamps that are packed flat and inflated to create a lightweight and portable light source. 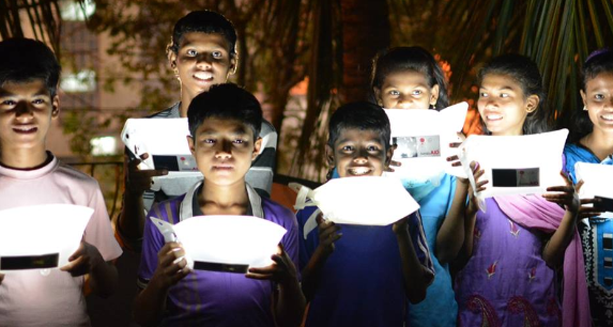 The group aims to make light an essential part of emergency aid. According to Stork, the product has a potential, given the fact that there is a need to light up many impoverished communities. To date, up to 1.6 billion people from around the world still don’t have access to reliable lighting sources, creating an opportunity for LuminAID to bring its products to more countries. Identify who could help create the most impact. 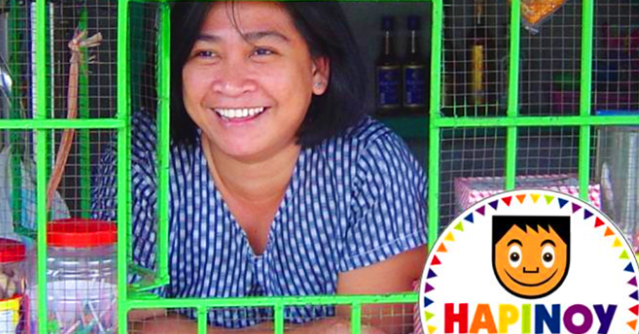 Mark Ruiz, whose social enterprise Hapinoy focuses on developing the capacity of numerous poor people in the Philippines to run their own small businesses, thinks that women microentrepreneurs can possibly create the most impact. This is because women are able to funnel the rewards of small businesses to their families, leading to better lives. Identify the best modes to deliver behavior change. Kal Joffres, who heads Malaysia’s Tandemic—a social innovation laboratory—looks at creativity, innovation, and understanding of the society as essential factors in delivering solutions that will lead to behavior change. For instance, addressing diabetes through advertisements was ineffective in Malaysia. But the provision of mobile clinics proves to be a more effective route in addressing this particular health concern in the country. Stork recalls that in developing LuminAID’s product, they constantly had to think of its design. Doing so enabled them to expand the product line to address specific needs. Think of how to scale. Stork thinks that scale is something that social enterprises must prioritize. In the case of LuminAID, they had explored the crowdfunding route and generated over $50,000 from that. They also entered multiple competitions, including their participation in reality TV show Shark Tank, where they received backing from investor and philanthropist Mark Cuban, who is also known as the owner of NBA team the Dallas Mavericks. Figure out your revenue model. Ruiz chased after every grant and whatever funding he could get when he was starting out. Eventually, he had to figure out his revenue model. 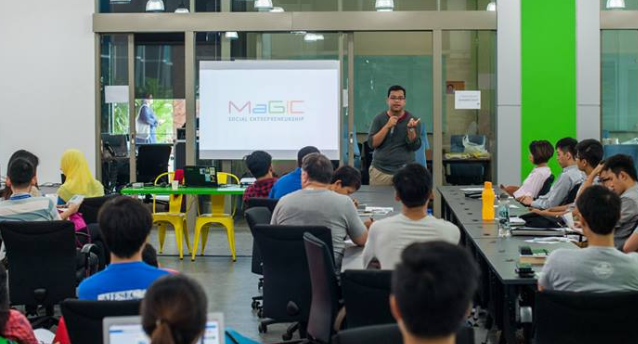 Hapinoy has since been structured as a hybrid—comprising of a for-profit segment, which receives a small portion of the microentreprises’ earnings, and a non-profit segment, which serves as its training arm. Meanwhile, Joffres reveals that only 49% of social enterprises in Malaysia are breaking even. Thus, he thinks that social enterprise start-ups in the country should continue searching for a scalable and replicable model. What is important for social enterprises, he points out, is not to build markets but to focus on selling into existing product or service categories. For Stork, innovation and sustainability are closely interlinked. Social entrepreneurs must stay on top by innovating and being aware of how technology and materials are changing. She further emphasizes the importance of getting constant feedback from partners to continue improving a product or service offering. For Joffres, social entrepreneurs must also be able to constantly seek advice in order to build a strong community of supporters. Stork notes that it is important for social entrepreneurs to start talking to potential partners and customers to sell prototypes when the opportunity presents itself. This, according to her, could lead to constant improvements in design and delivery. Ruiz asserts that passion is important, but resilience is equally significant when a social entrepreneur takes on a long-term view. With regards to a social enterprise’s metrics for success, he points out that there is a need to invest in tedious data-gathering so social enterprises can look at both tangible and intangible impacts to the society. 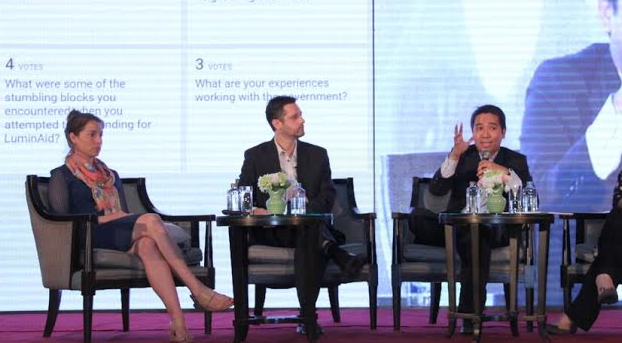 Stork, Joffres, and Ruiz were among the key speakers who discussed the topic, “How to Start, Build, and Run an Enterprise that Improves the World” in the recent Asian Forum on Corporate Social Responsibility (AFCSR), which was co-organized by the Asian Institute of Management—Ramon V. del Rosario, Sr. Center for Corporate Social Responsibility (AIM—RVR CSR Center) and the Asia Inc Forum. The event was held in Bangkok, Thailand. With the general theme, “Unleashing Social Entrepreneurship: New Partnerships for a Better World,” the conference provided an opportunity for social entrepreneurs to share experiences and insights in developing solutions for the most pressing challenges in societies. It gathered more than 300 business leaders, non-profit leaders, and people from the academe from all over the world.